Thanks a lot! Ok, disabling desktop icon fixed the problem but I would actually like to have desktop icon and a background. I don’t why my screen background became white blank (see the attached screenshot to check how it looks like). I do not know how to post a link here (it says my post wiull be flagged as a spam if I try). 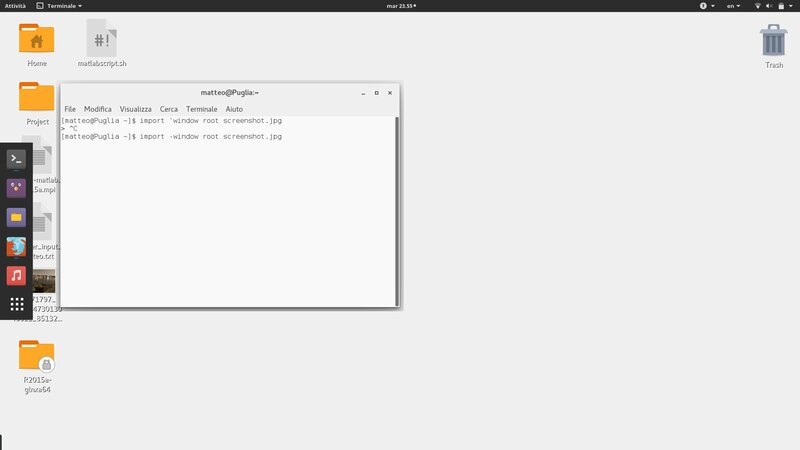 Anyway I downloaded the iso file from Antergos website and created a bootable usb following the instructions reported on Antergos site itself (not UNetbooting adn other softwares but from CLI). I installed Antergos in a dual boot mode (Antergos + Windows 8 ) on Dell Latitude 7350. As Windows eats too much memory away I would like to reinstall Antergos letting it occupy all the SSD memory and then reinstalling Windows on a smaller partition (created, for instance, using GParted). and when I choose Antergos x86_64 UEFI CD I just have a white blank screen and nothing happens. Concerning desktop environment I’m still using Gnome. Here the discussion where the solution to my issue with sleep mode/hibernation is reported https://forum.antergos.com/topic/3148/solved-blank-black-screen-after-suspension-hibernation-dell-latitude-7350/2. Talking of touchscreen, well, it would be nice having it working as a tablet: easy ways to open folder/files, to zoom, to scroll, to use tools (above all highlighter and annotation in pdf readers), moreover I wish screen keyboard popped up every time I need it, while, I do not know why, sometimes it fails to appear. I have another unsolved issue with touchpad: if I detach the screen and then I put it back on the basis, side scrolling on the touchpad will not work anymore. But maybe the biggest problem is not being able to right-click. For instance sometimes I’m able to open pdf files somehow (I think with two finger tapping, but it is not always working so I cannot be sure about it) and, on evince, there’s a tool to highlight and writing down notes. Now, you may need to cancel some wrong highlights or comments and, while it is easy doing it with touchpad right-click, I haven’t been able to find a way to use touchscreen for this aim. I hope touchegg may help and I hope these comments may help you! Well, from the point of view of the touchscreen and touch utilities…I would not recommend it. Indeed it may work properly with touchegg but unfortunately I haven’t had any time to try to install it, yet…so I cannot but say nothing! But I was able to solve all the other issues (sound and hibernation issues). And sorry for my oversight, too: I didn’t see that resume was actually there! I’ve installed both pm-utils and xf86-video-intel but the issue is tsill present. Thank! Yes! You were right! I moved to capture to enable the microphone and I set ADC 0 Mu and ADC 1 Mu as Dmic. a way of keeping active a tool (highlight, for instance) even after having used it, without having to select it every time. Moreover, as said here link text, I still have some problems because I cannot “simulate” double- nor right-click and these issues of course put many limitation to the use of the touchscreen. Anyway, I’m checking whether touchegg package may be of any help.